This delightful Flannel Friday comes from Melissa at Mel’s Desk! Melissa uses these with the Elizabeth Mitchell song “Little Bird, Little Bird.” I did purchase the song and have added it to my storytime playlist, but I still have to learn it for myself! 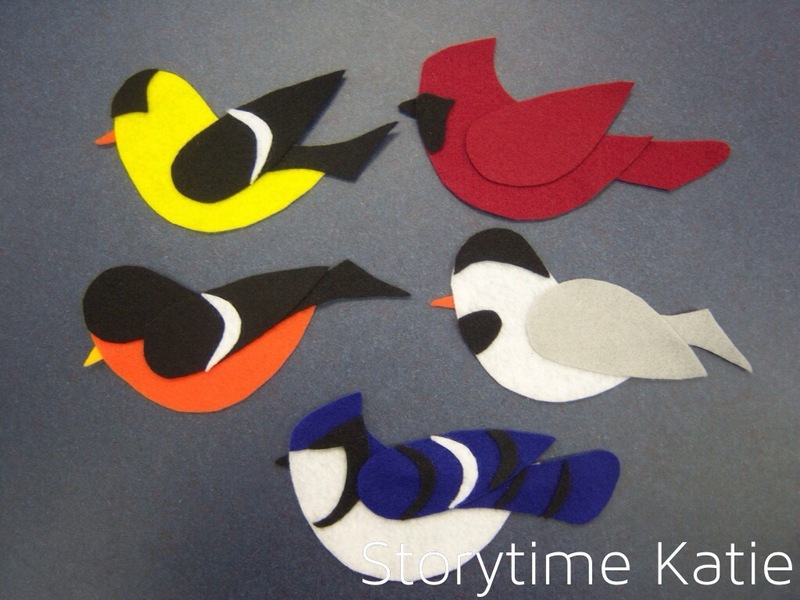 I don’t have these scheduled for a storytime yet, but these birds were so sweet, I couldn’t pass up the opportunity to make them! Anne is hosting this week’s Flannel Friday round-up. 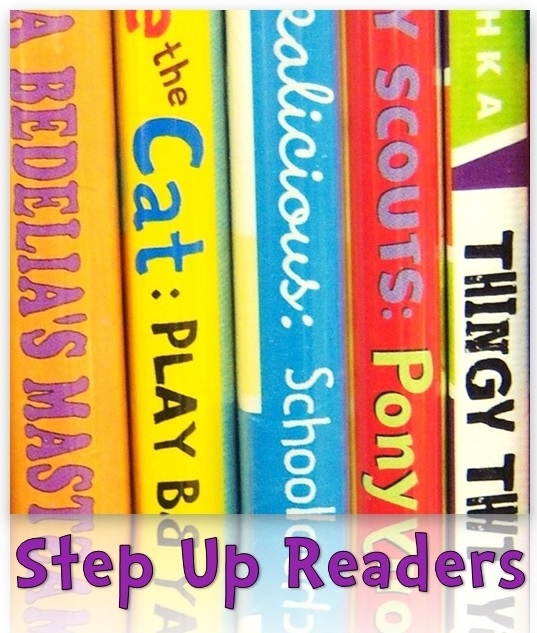 You can visit her blog to link up with us! Even if you are not participating this week but you have participated in Flannel Friday before, please visit Anne’s blog to complete a survey about Flannel Friday for its anniversary! For more information about Flannel Friday and joining us, please visit the Flannel Friday website. Your birds are absolutely beautiful. So pretty. I love the blue jay. Thanks — the blue jay was, in my opinion, the prettiest!